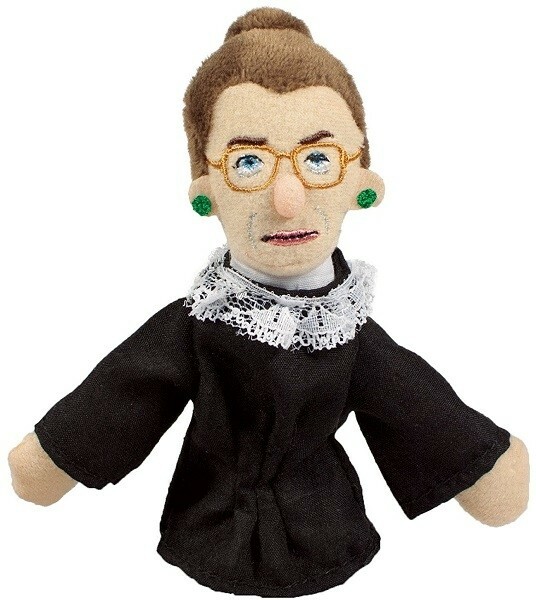 Justice Ruth Bader Ginsburg wears her favorite jabot to preside over your finger as a puppet and your fridge or locker as a magnet. She's approximately 4" tall but don't let her diminutive size fool you. Justice Ginsburg will always remind you to fight for what's fair -- especially when you must declare: "I dissent." 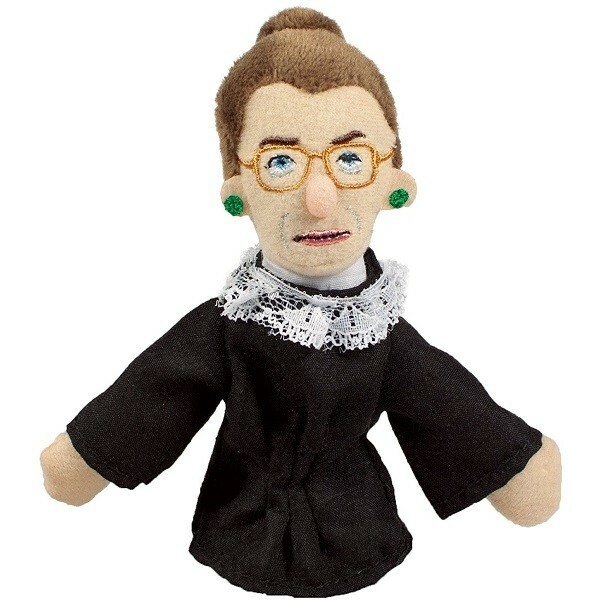 For more finger puppets and plushes of famous women, visit our Unemployed Philosophers Guild Collection.